Congratulations Ida Kjellin and the rest of the team behind The Murderer’s Ape! 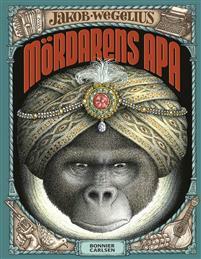 The Murderer’s Ape is a Swedish Radio dramatization by Ida Kjellin of the novel (by Jakob Wegelius) with the same name. It has been shortlisted for the prestigious PRIX EUROPA 2018, in the category “Radio Fiction”. Earlier this year it received the Gold Radio Prize in the category ”Best Children/Young Adult” and Bronze Radio Prize in the category “Best Drama Special” at New York Festivals.